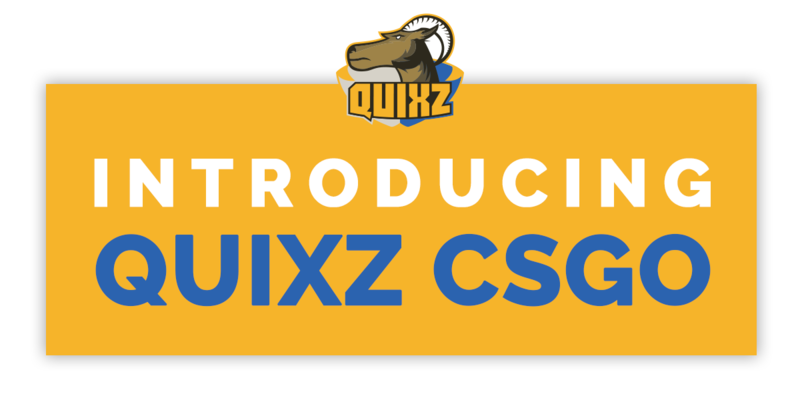 Quixz eSports - Introducing our new CSGO roster! Introducing our new CSGO roster! Quixz eSports is from today one of many organisations, with a team in the game Counter Strike: Global Offensive. This would be the third game added to the Quixz family, also adding five fantastic players to our arsenal. The roster is formerly know as "sehrSchade", and has been playing several seasons in the 99dmg league. This season, they will not participate in 99dmg, as the players felt that the league did not fulfill their expectations. Consisting of four germans and one czech, they are being led by the tactical in game leader, dasBunny. Tim Strutzberg, also known as dasBunny, has been on the team since the start, and said that they were excited to finally join an organisation. 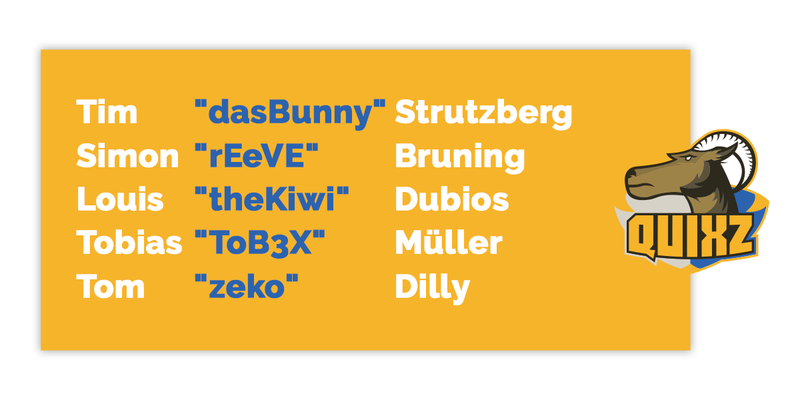 This is our new CSGO roster, four germans, and zeko as the only czech. We believe that this roster will get amazing results, and that any opposing team should fear this roster, and it's players. Currently there is no set date for their first official match, but keep and eye on our homepage, and twitter to get notified when they do! Copyright © 2019 Quixz eSports All Rights Reserved.